Step into an exciting new world and experience cinema like you have never seen it before. Venture deep into the Lost Jungle through a dangerous temple ruin to watch your favourite action and adventure films. 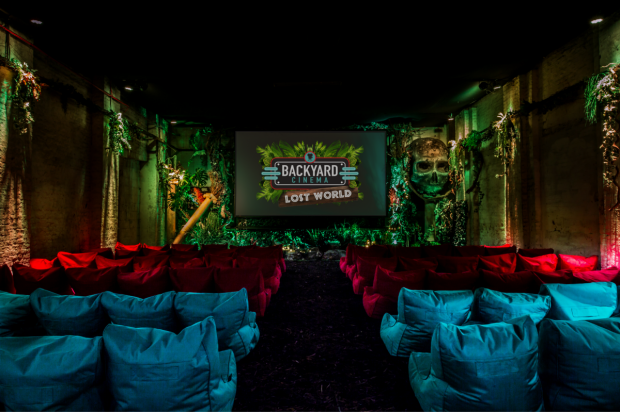 Deep in the Lost World you will find beanbags, cocktails and popcorn alongside tropical plants and trees, sound effects and special surprises that will change the way you watch cinema forever. - Discover Backyard Cinema's Lost World.